Krylov subspace methods based on short recurrences such as CGL or MINRES represent an attractive way of solving large and sparse systems of linear algebraic equations. Loss of orthogonality in the underlying Lanczos process delays significantly their convergence in finite-precision computation, whose connection to exact computation is still not fully understood. 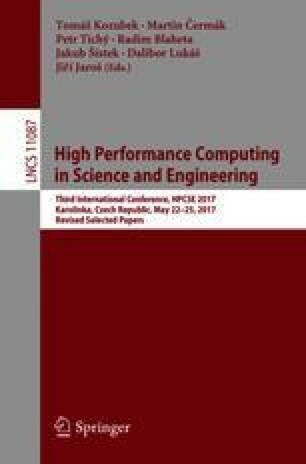 In this paper, we exploit the idea of simultaneous comparison of finite-precision and exact computations for CGL and MINRES, by taking advantage of their relationship valid also in finite-precision arithmetic. In particular, we show that finite-precision CGL residuals and Lanczos vectors have to be aggregated over the intermediate iterations to form a counterpart to vectors from the exact computation. Influence of stagnation in exact MINRES computation is also discussed. Obtained results are supported by numerical experiments. Research supported by the Grant Agency of Charles University (GAUK 196216) and by the Grant Agency of the Czech Republic (17-04150J).